There’s an oak tree that was familiar to everyone who used to drive along the highway just south of Berlin. Until 2004, it stood between the small suburban town of Ludwigsfelde and the intersection at Nuthetal. 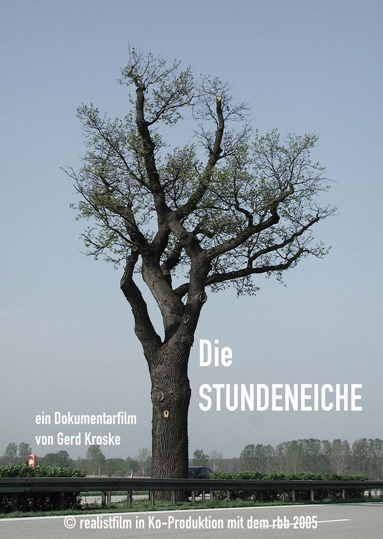 In the times of the German Democratic Republic (GDR), it took one hour to drive – in one of the famous East German “Trabant” cars – from the position of the tree to the East Berlin city center, which is why it was called the One-Hour Oak Tree. When the famous oak so steeped in history was cut down, the idea emerged to turn it into a sculpture. Berlin artist Franziska Uhl worked on the hollow trunk in her studio in Poland for one year. Little by little, the soft contours of two figures crystallized out of the wood, which have now stood at the Ludwigsfelde town hall square since May of 2005.